Some people fly, and some people fly with style. 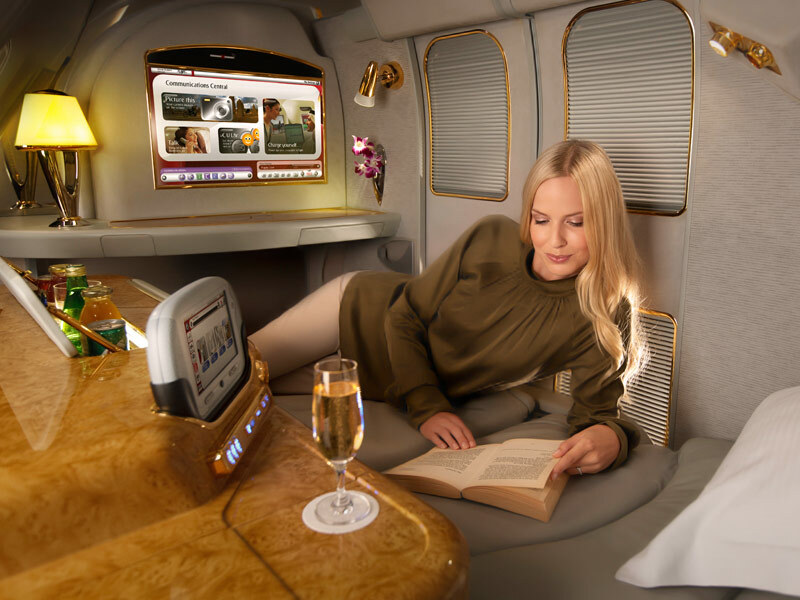 Of course style means money but anyway, all of us which fly with low cost can at least take a peek in one of the most luxury airplanes. 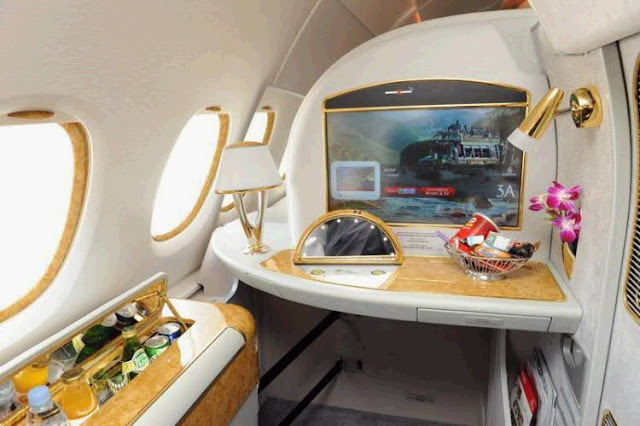 Its name is A380 airbus and company is of course Emirates. 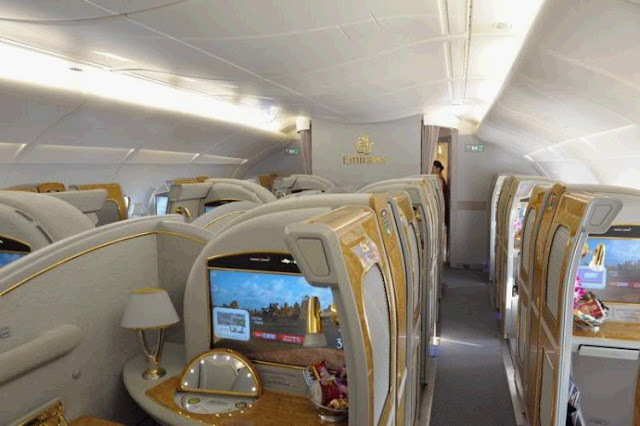 Airbus A380 is a double deck jet airliner and it is currently the largest passenger airliner in the world, and the ones that fly for Emirates are most luxurious in the world. So take a peek into A380. 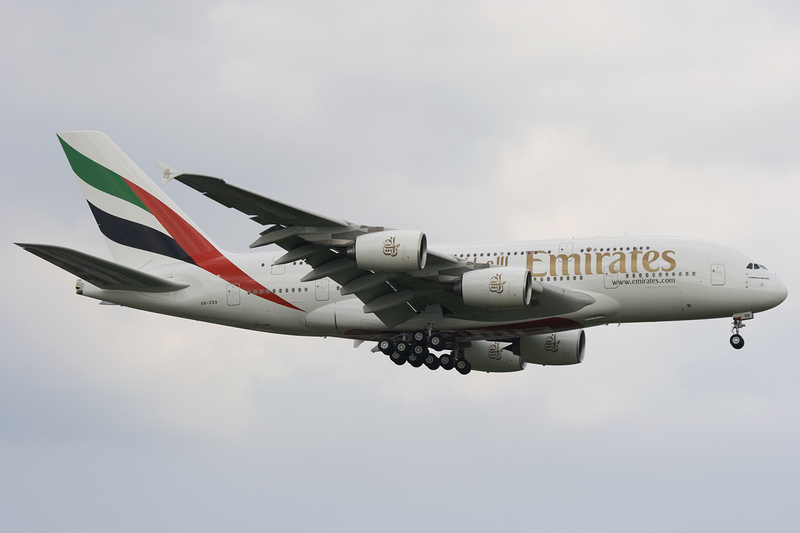 Image of Airbus A380 in all of its glory. Four engines, and two decks. Some airports have needed to readjust their terminals to accommodate this plane. No wonder why. 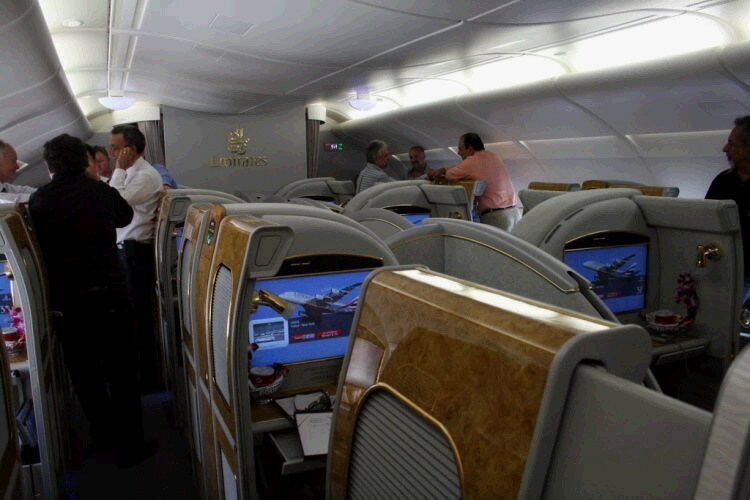 This is photo of one seat private space, mini bar, snacks, screen 1200 channels - movies, games, music and news. On a long distance trips you will get hungry. 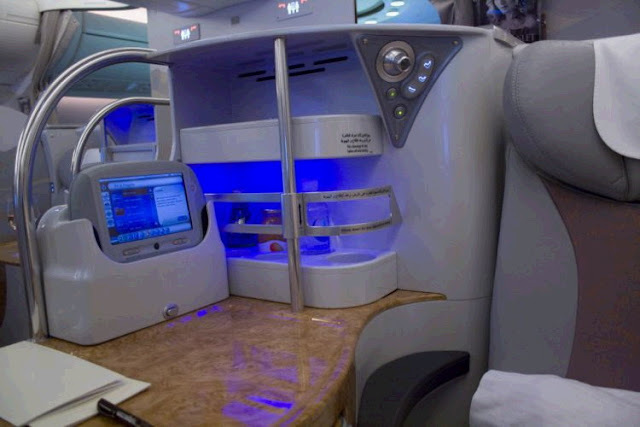 Well, on A380 this is not a problem. They even have a little bar. Image of the inside of the A380 airbus. People mingle, everyone is happy and can`t wait for plane to take off. 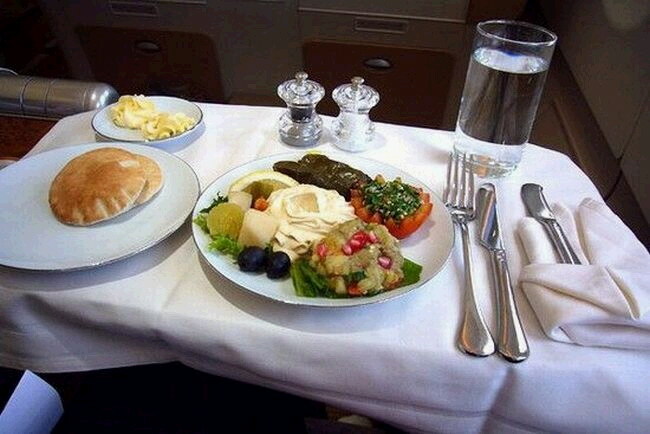 I think this is a picture of business class, and i doubt that there is economy. 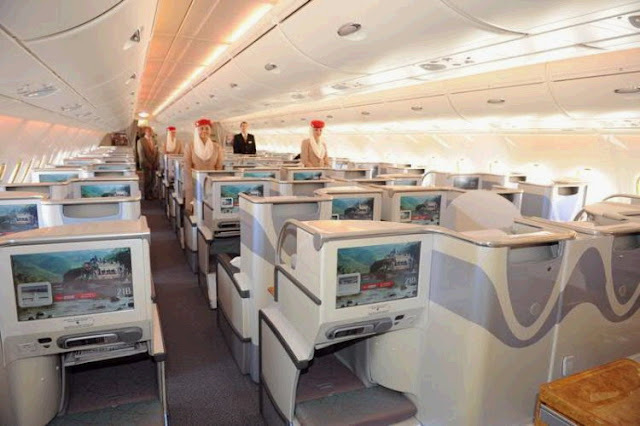 As you can see business class is better then first in some other planes. Small detail from business class in airbus A380. Sleeping quarters are pretty much lower class accommodation as you can see in the rest of the pictures. Another photo of interior A380 airbus. I would live in it! Picture of toilet facility in A380 airbus. 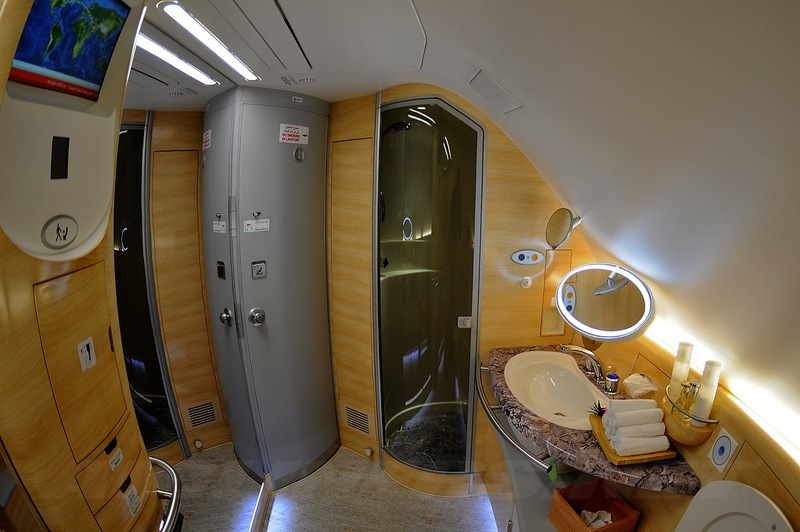 Ideal for Mile High Club and there is even shower. Notice TV in the top left corner, you can not get bored while taking dump. 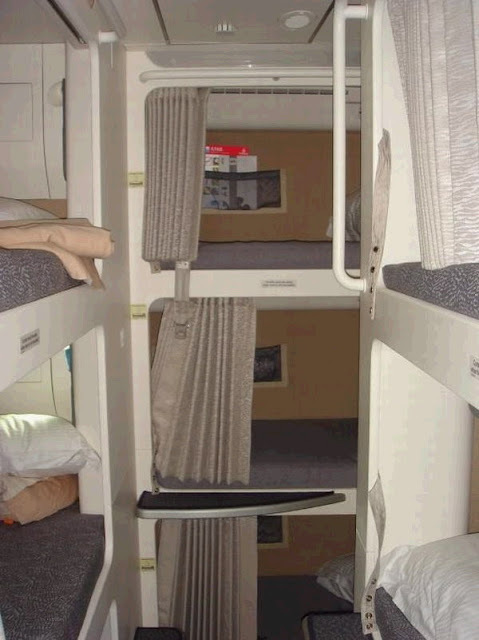 Seats are easily adjustable so you can make a bed of them. Nice detail on this photo is lower windows which allows really nice view from the plain. After this set of images I am feeling much different about those long flights. Suddenly they don't look so long, what you think? Wow! This is one cool airplane!